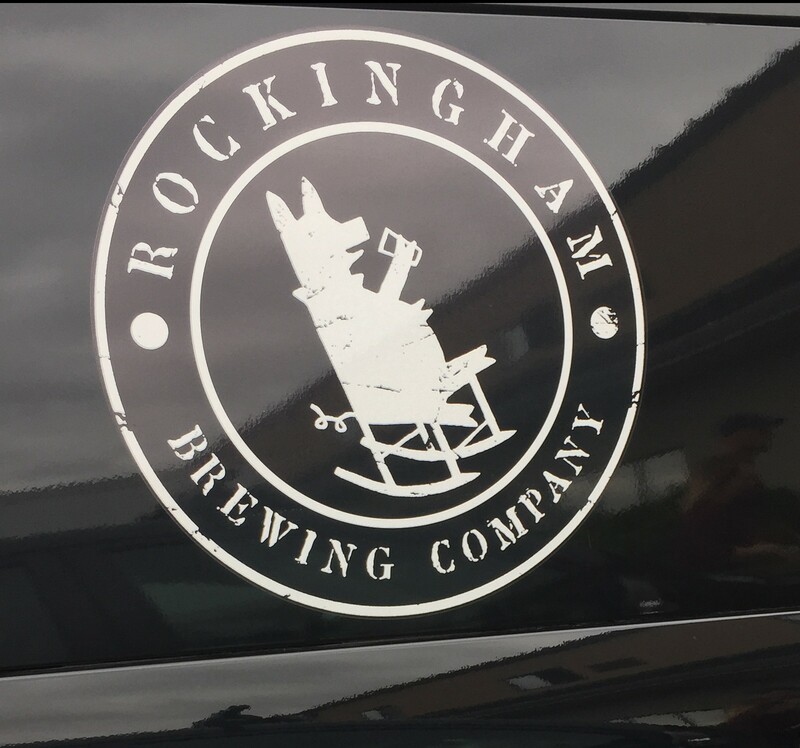 Rockingham Brewing Company, Derry, NH – Breweries, Wineries and the fun in between! 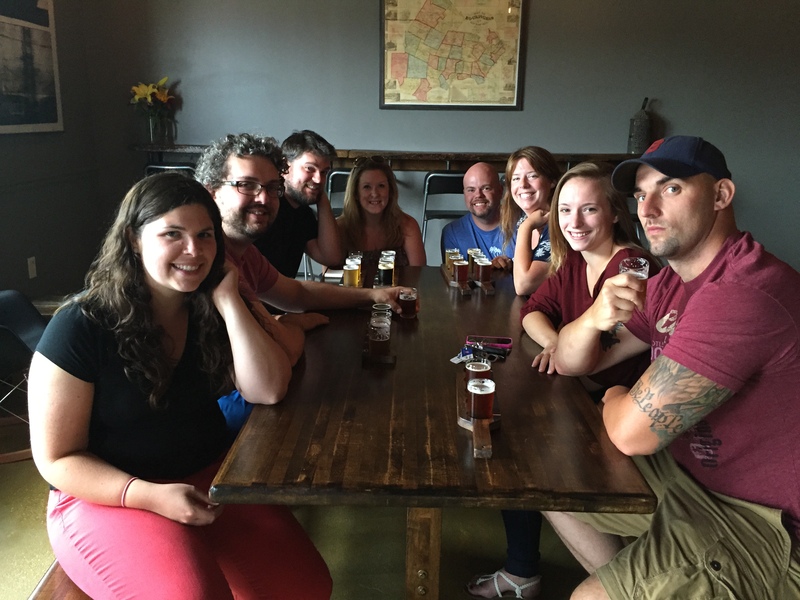 Our 2nd stop on a recent trip with Taylor, Lance, Jason, Maureen, Stephanie and Ian to the Derry and Londonderry area was to Rockingham Brewing Company. They had only been open for about 5 months when we visited, since February 2015. It felt like a well established brewery. The two people working behind the bar were very warm and welcoming. They asked if we knew their beer, and the brewery and were able to answer questions when asked. 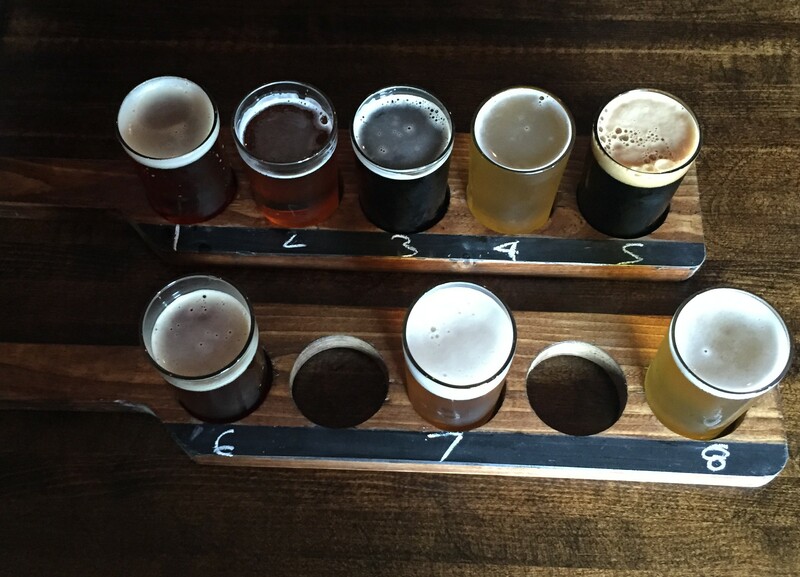 They have several options for tasting paddles. Megan and Mark split a flight of five 4 oz pours and a flight of three 4 oz pours, for $8 and $5, so we were able to try all the beers they had on tap. Jason and Maureen also split a full tasting, with the other couples picking a few here and a few there. 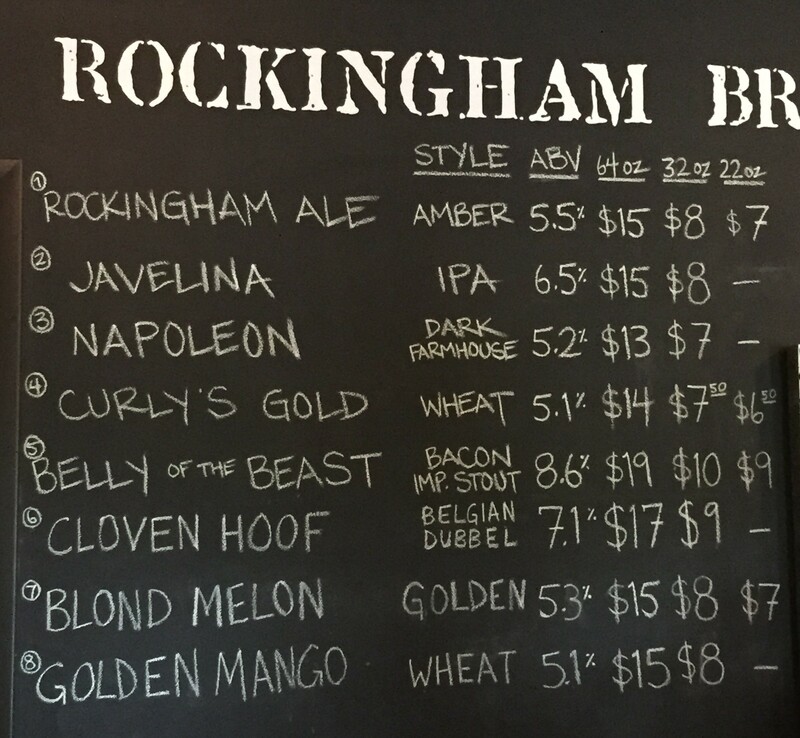 Rockingham Ale – amber ale 5.5% Fairly typical amber flavor with a little bit heavier body. Javelina – IPA 6.5% Tropical notes, light in body, not super hoppy or heavy. Ian said it had more of a bitter hop taste with not much malt. Napolean – dark farmhouse 5.2% Light in body, sweet, dark in color with a malty flavor, but not too heavy. Not quite enough ‘funk’ for us, looking for a little more tartness or something extra from a farmhouse. Curly’s Gold – wheat ale 5.1% Light, sweet, a good summer beer. Jason tasted orange peel, Megan thought it had a citrusy zest to it. 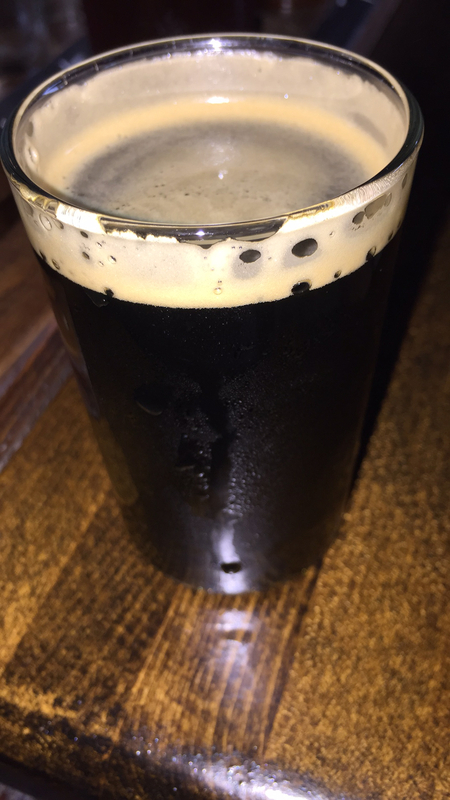 Belly of the Beast – bacon imperial stout 8.6% Smells like smoked bacon and tastes like smoked bacon! A heavy tasting stout with a lighter than expected body, and a hint of sweetness. Cloven Hoof – Belgian dubbel 7.1% Sweet, not as heavy as Mark expected, light, pretty good belgian flavor. Megan did not like it. Ian thought it was fantastic, right on what he expected it to be. Blond Melon – American golden 5.3% Tastes like melon. A good, light summer beer. General consensus was just ok.
Golden Mango – American wheat 5.1% A bit of a funky smell, light body and light in taste with mango flavors. Megan liked this better than the Blond. 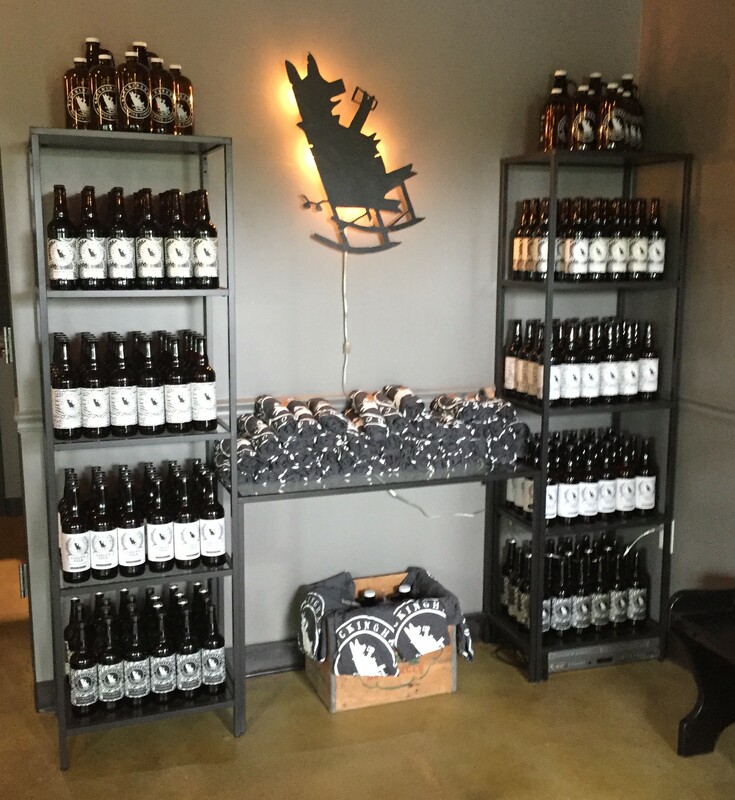 They have a pretty good size tasting room. It has a cool atmosphere as well. 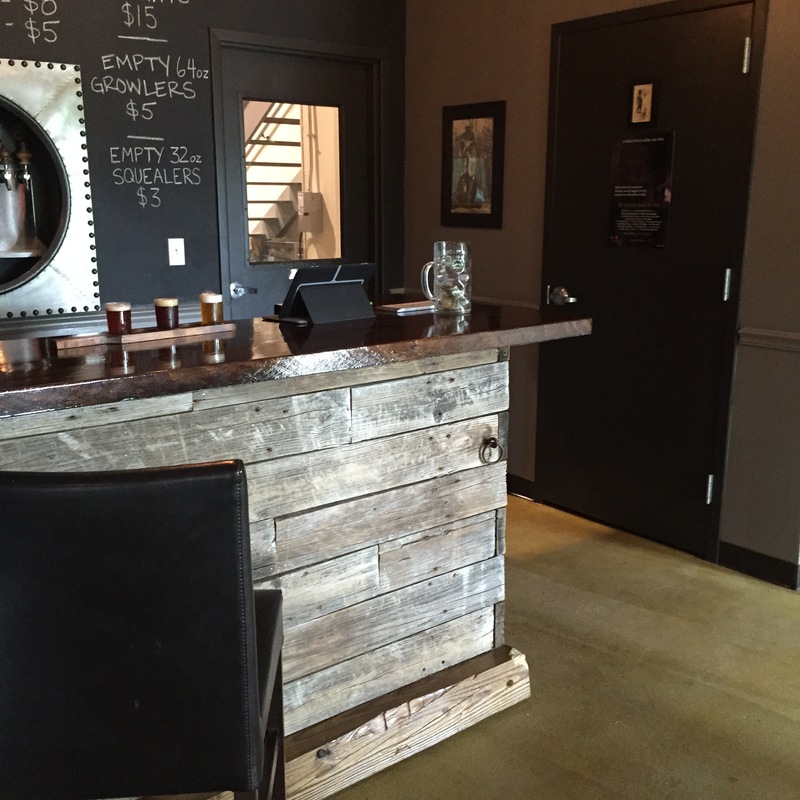 The bar is all rustic reclaimed wood. 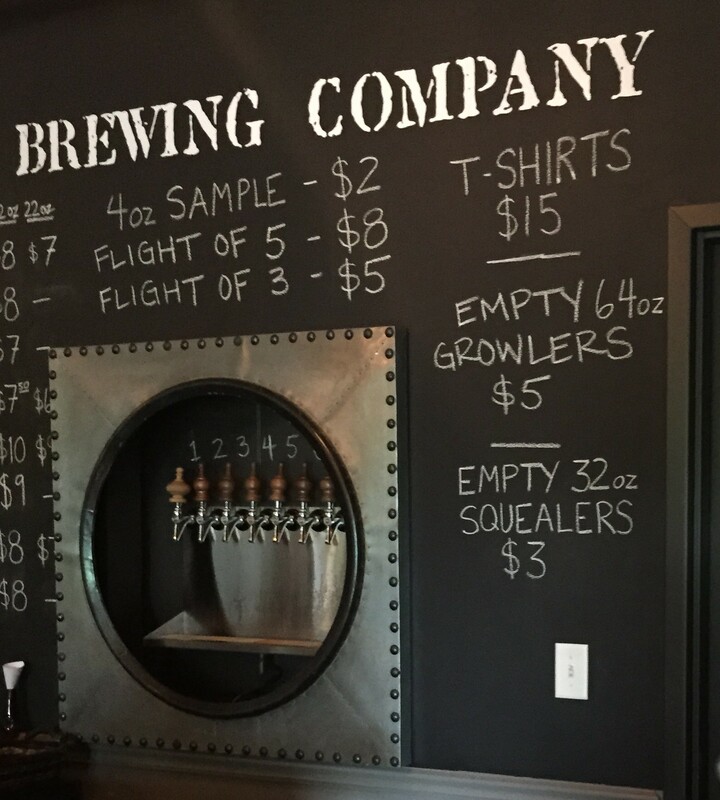 The wall behind the bar is chalkboard paint so they can update the beers when they rotate. 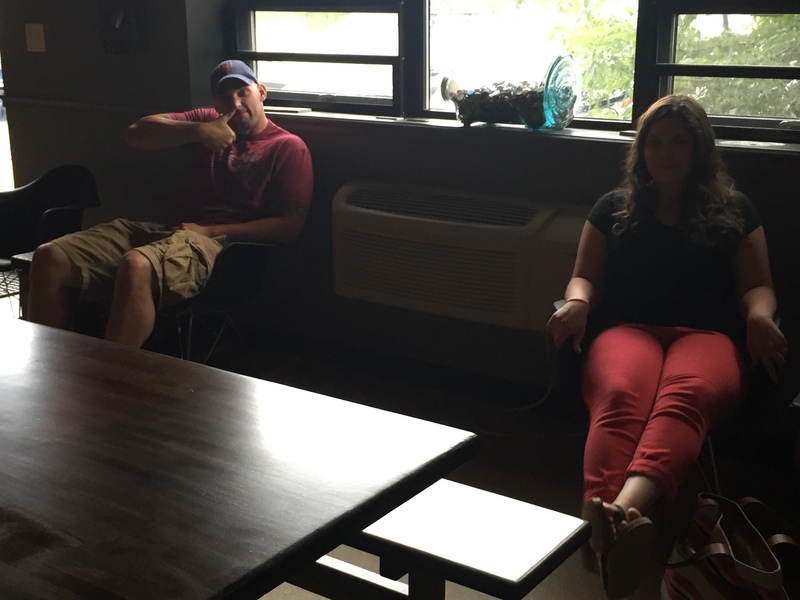 They have seats at the bar, a couple big comfy chairs and a big picnic table, which we took over. They had 4 of their beers bottled in 22 oz bottles. We bought 2 of the Belly of the Beast and a Curly’s Gold. 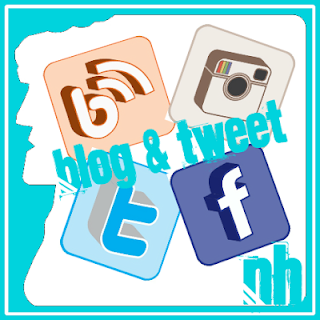 As always, check their website, or facebook for the most up to date information.